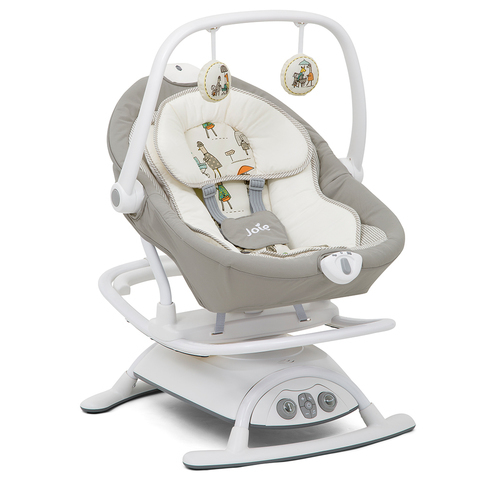 A multi-mover and mini-soother designed to sway and glide this way, that way and every which way. 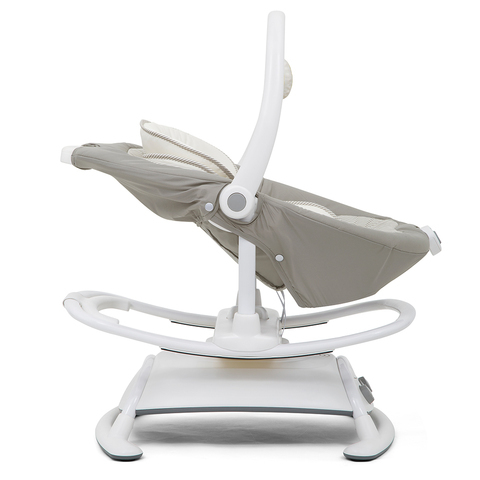 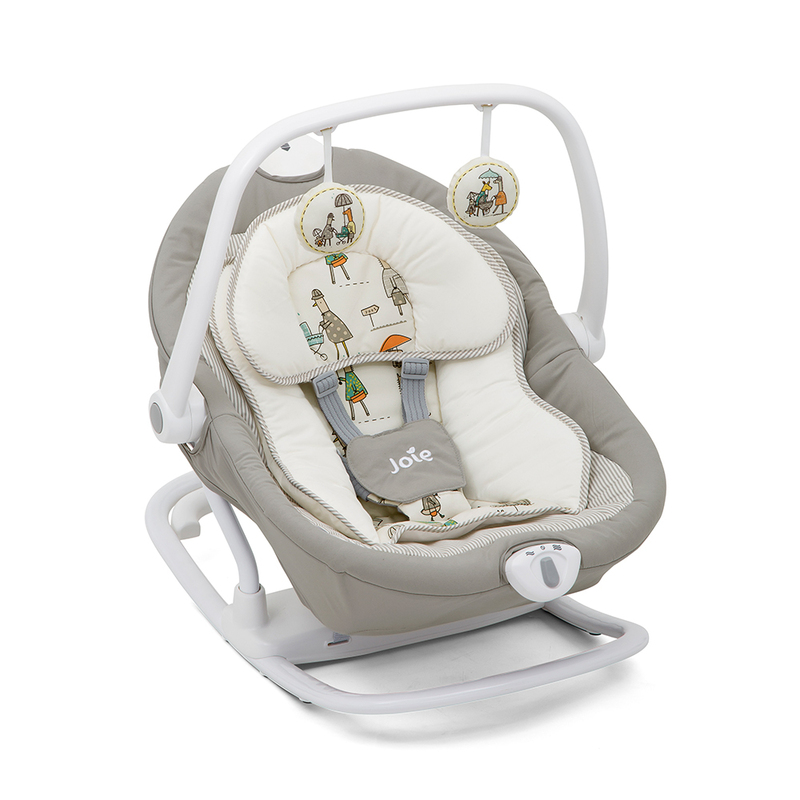 From little lounger to breezy rocker, the lightweight lift-off seat doubles as a portable rocking seat for even more soothing options. 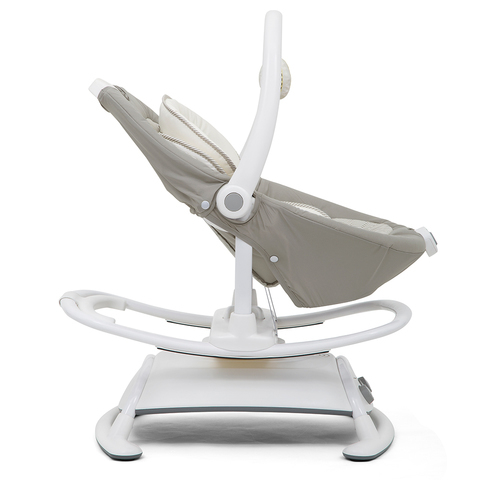 Sweet, simple and smooth motions mix and match from glide to sway to dream (both motions combined!) to create soothing swivels for those littles with wiggles. 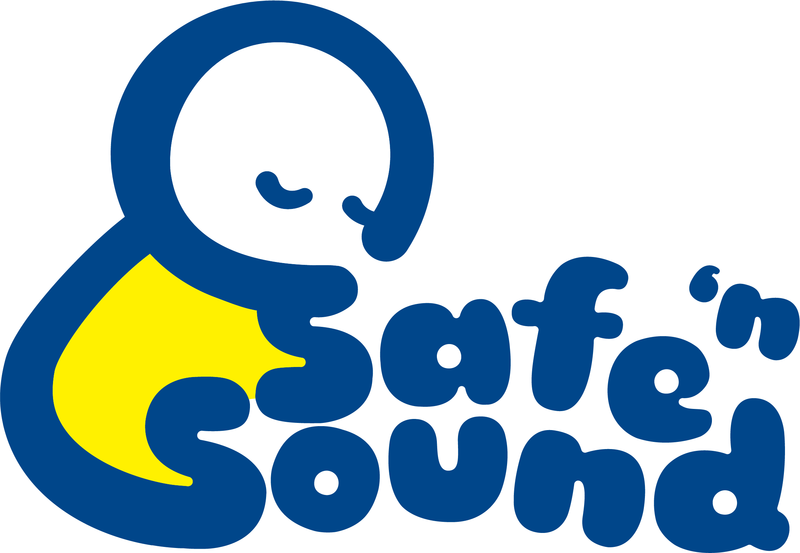 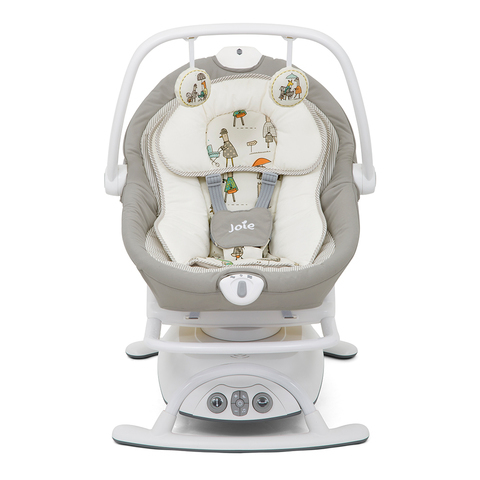 All inclusive with 5 classic lullabies, 5 nature sounds, dual vibration settings – plus plush wraparound inserts for complete comfort.